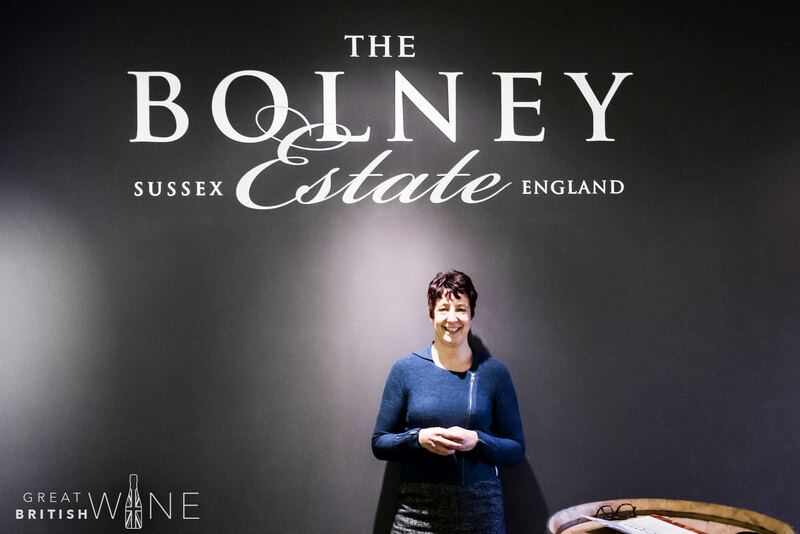 Last month I headed back to Bolney Wine Estate in Bolney, Sussex for a catch up with Sam Linter and the team and to discover what had changed since my last visit in 2016. It turned out that a lot had changed, and will continue to do so, with the move away from cork to screwcap and a huge investment in a brand-new winery due later this year. 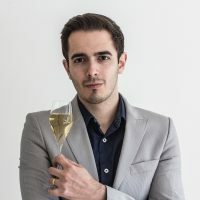 There’s also new wines and exciting, innovative products on the horizon, all of which I learnt about during a brilliantly insightful interview with Sam. John: Being a family business has been one of the core principles of The Bolney Estate. Please tell us a little more about that. Sam: Family business is something that is really important to us and it was for my parents when they started the business. That continues with me and obviously, you’ve met my daughter Charlotte on more than one occasion. We’ve got various other family members involved; my brother, Mark planted the Foxhole vineyards on-site, my husband’s here, my cousins work here, so there’s quite a few of us working here now. There is an increasing number of female winemakers in England now that are growing in prominence. 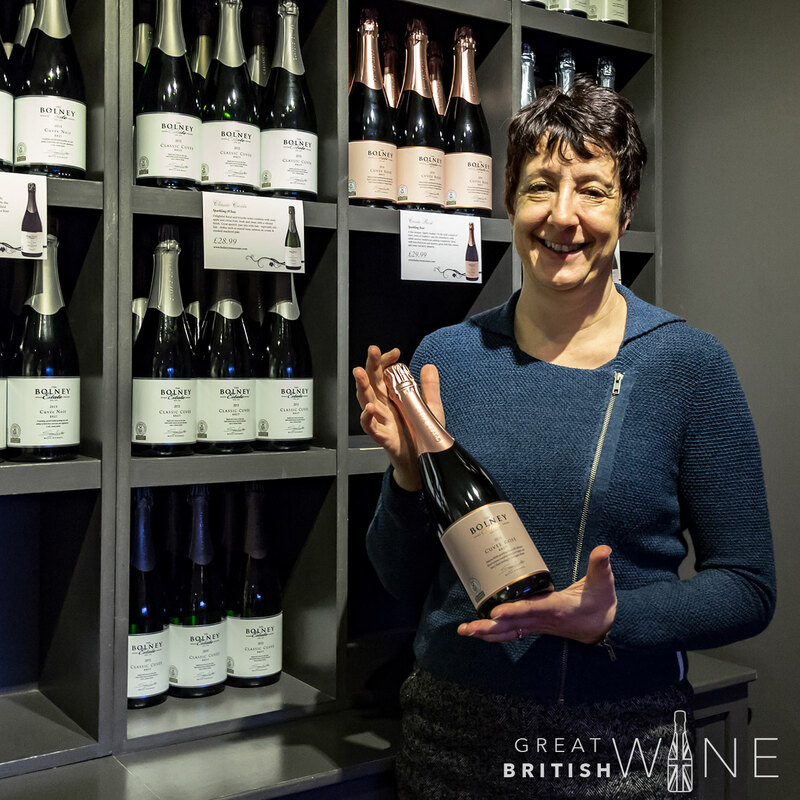 Sam as one of the pioneering female English winemakers, how important has that been for you? Sam: From a female perspective, that’s always been really key to Bolney. At one point there was Sandy Moss at Nyetimber and Mary Mudd from Carter's Vineyard, and that was just the three of us that started. I remember getting involved and becoming secretary of the local vineyard association, and then progressing onto the council of the national association. When I started doing that there were a lot of older gentlemen, going back a good 20 odd years ago. The dynamic in the industry has changed so much since then. I was like the young, sole female there and it was a really interesting dynamic, so I tried to evolve a little bit myself. What has always inspired me is to be pro-female in more pivotal roles, particularly on the production side. At the time I started, there weren’t any, it didn’t feel like it was being actively encouraged and therefore it became important to me that I championed that as much as I could. So that’s what I did. But I’ve always been a bit like that. I chose to do woodwork in my final two years in secondary school, when they didn’t encourage girls to do that! You’ve always been a bit of a trendsetter then? Sam: Yes! Or a rebel as my husband calls me. If I see something that doesn’t seem right, I’ll do something about it. So, having a female vineyard manager, females working in the winery… It’s not about excluding males, but it did feel quite important to bring those roles in and start highlighting those opportunities. We now have a good balance of male and females in all aspects of the winery team and business as a whole. Sam: It’s brilliant, and of course Cherie Spriggs at Nyetimber. And not just in the winemaker roles, you’ve got women in other significant positions such as Tamara at Ridgeview and myself at Bolney, moving from winemaker to Managing Director. All of these roles are changing and evolving and it’s so exciting to see. I can remember going back to when I started winemaking here and as one of the local vineyards, Plumpton College used to bring a lot of groups down to look at the winery. It was very male-dominated with just a small handful of females participating in the courses. And they would say “oh wow a female winemaker”. However, over the years, I have seen that changing with a lot more females coming in. I’ve seen that evolution. I count myself really lucky as Bolney was one of the early vineyards, so I’ve seen it all of the way through from the start to where we are now. It was a huge learning curve and the changes within the industry have been immense. I’ve been very lucky to experience that! So with all that history behind you, during my tour of Bolney this afternoon I’ve learnt about the big plans for a new winery that should be coming online by the end of the year and ready for the 2019 harvest. How significant is that now to the future of the business? Sam: It’s hugely significant. Since we started, we have grown organically; every little bit that we’ve made, we’ve put back into the vineyard, winery and into the products. We’d got to around 120-150,000 bottles a year of production and decided that that was quite comfortable and we were profitable. However, then we realised just how much the industry is growing and it would be a mistake just to sit back, especially as we were one of the early vineyards. We were there at the beginning and we want to carry on being there! So, we made a conscious decision and decided to bring some investment into the business and to grow it. We need the new winery to get up to 300-400,000 bottles a year production. And with this winery, the plan is that it can be extendable so that we can carry on growing. The existing winery will become a second bonded store for wine. Ultimately, we reckon we can get to beyond half a million bottles a year and still have capacity on site to produce it all. We also want to make other products; we’ve got a vermouth coming out later this year. We’ve been using botanicals from our own hedgerow; we get a lot of sloe and elderberry here, so we have been using those, which we picked in September last year. And then there’s the waste juice from the grapes that we can’t use for wine: we ferment that out and some of it goes into gin distillation and some will now go into the vermouth base as well. Were these products borne out the want to be more sustainable and have less waste, or out of the curiosity to try new things? Sam: Both! It started off as a sustainability project - how can we reduce our waste? It was about five years ago that we started looking at this; all these things are never quick to turn around. But another thing is, as you know, we make a large number of different wines as we just like doing different things. I think you have to, as being an English winemaker you’ve got to embrace the challenges and want to discover and do new things. That’s really where a lot of our inspiration comes from. The team here are really behind that. Everyone likes to see what we can develop next. 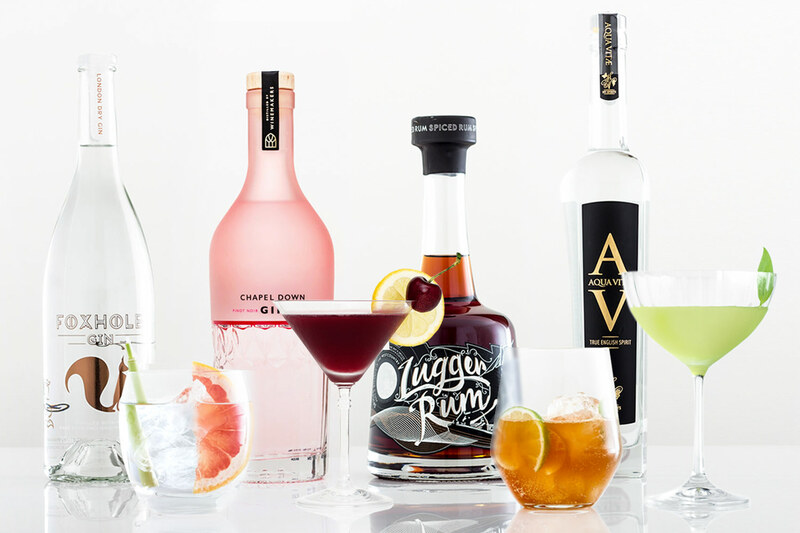 Is there anything you can share with us about the upcoming Vermouth? Sam: It’s going to be a rosso vermouth and there are two slightly different styles. It’s really going to be fruit based with the elderberries and the sloe being prominent, with some eucalyptus notes and of course the wormwood, which has to be there. 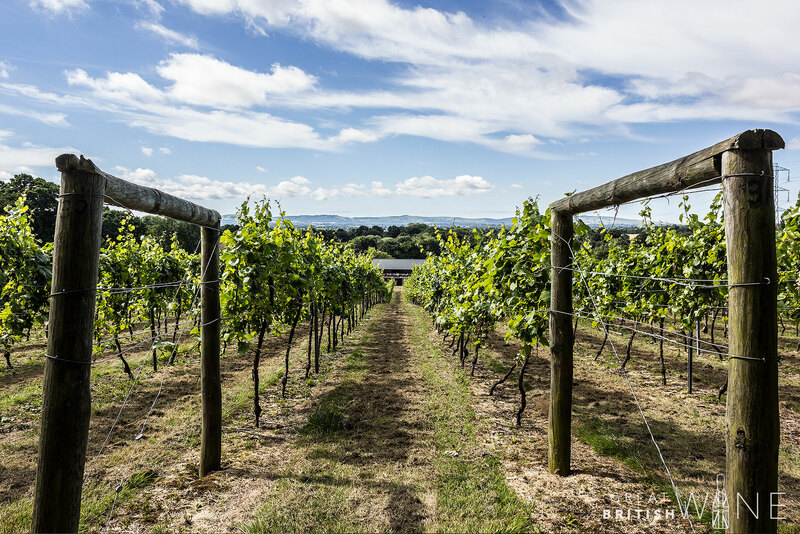 We’re looking for something a little more sophisticated and complicated, but in keeping with the Bolney brand ideals, whilst having a touch back to here and the provenance of the vineyard and its surroundings. In keeping with the subject of change, it was announced last month that Bolney will be moving from cork to screwcap for its 2017 vintage still wines. What are the main reasons behind this change, and what flexibility does that bring to you as a winemaker? Sam: It has been a decision that has taken years if I’m honest. Bolney has always been very firm and loyal behind cork as, again, it’s a natural product. The problem is with cork, is that it’s really hard to not have TCA in the natural cork, so then you’re buying the technical corks. And the way they make the technical corks can use glues and plastic microbeads in the production. Suddenly it’s not this natural product that we were so proud to stand behind anymore. Then a lot of our customers were asking about screwcaps as they find it easier and it removes the need for having a corkscrew on hand. And we were following a lot of the research done by the Australian Wine Research Institute showing that wine can age, with the membranes in the caps being much more developed. Going back to the sustainability, there’s less waste and less manufacture involved in the screwcap versus the two other items, the cork and capsule, that we had been using. The screwcap is recyclable, so now the whole bottle and cap can be recycled. 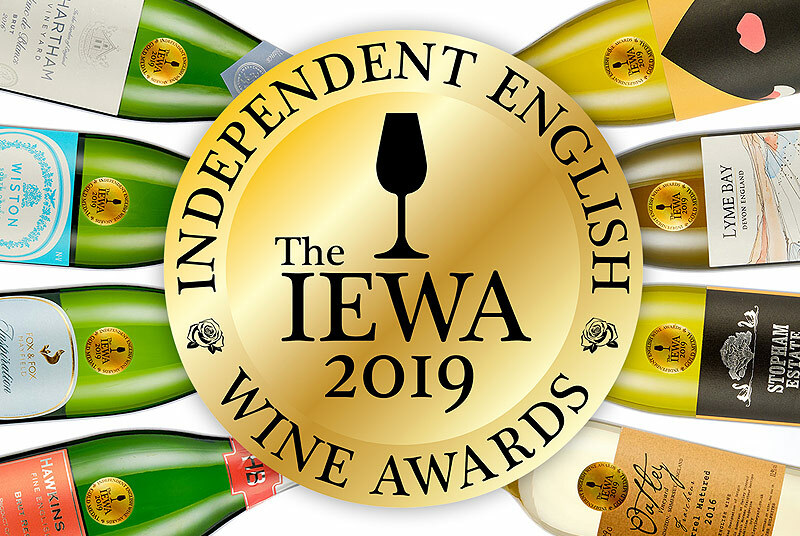 What do you think are the next steps for Bolney, and for the industry as a whole, in getting the consumer to really get behind English Wine and to want to try it? Sam: I think that for the consumer, the story about English Sparkling Wine has already got out there. 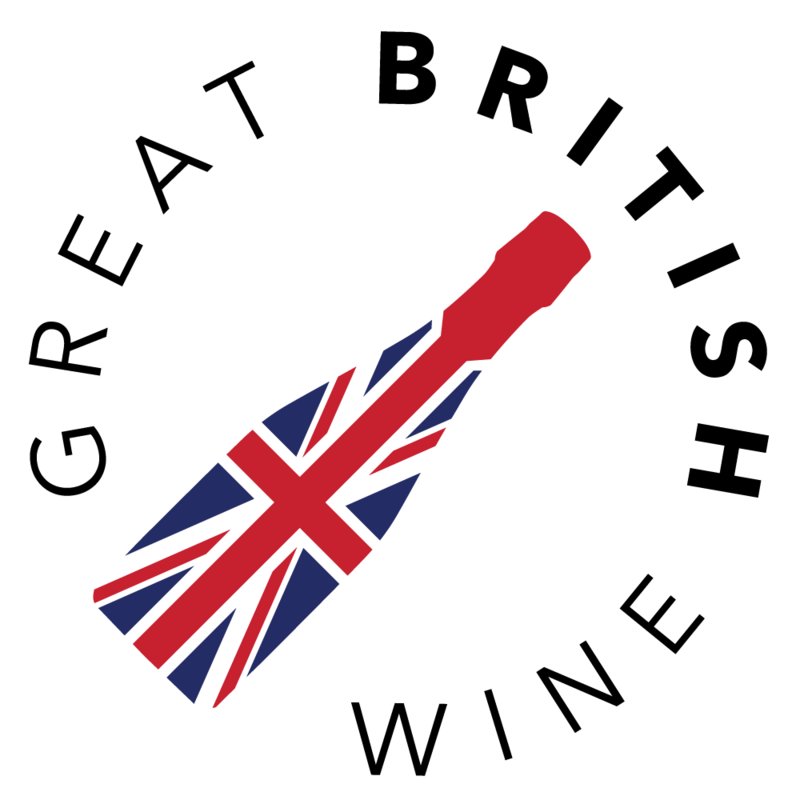 If you ask most people they have heard of it, however, if you mention still English wine they look at you blankly. For the industry as a whole, still wine is a huge sector of the market, whereas sparkling wines, particularly the traditional method that we all make cater more towards the luxury end. So we need to get more still wines in the market. I love my stills wines, as you know 50% of what we make is still here at Bolney as this is where we started. One of the things we have tried to pioneer here is Pinot Gris, which I’m fairly certain we were the first to plant. We were also the first to really make Pinot Noir seriously as a red wine, although other vineyards were producing it on a smaller scale, we were the first to really go for it in a big way. We’ve tried to be one step ahead; my parents planted eight different varieties in the 80s to see what worked. They had Chardonnay and Pinot Noir in the ground before Nyetimber and Ridgeview planted. I’ve been a massive support of Pinot Noir and red wine over here, and now it’s so great to see other producers making great Pinot Noir too. Until you get more still English wine out there, it’s hard for the consumer to really understand what the English style is. I get lots of people coming to the vineyard saying “love it” and then “but it’s not like a Burgundy is it?”. No, it’s not, any more so than a Chilean Pinot Noir or a New Zealand Pinot Noir is. They are all different, but because there is so little of English Pinot Noir, they have got nothing else to benchmark against. The lack of benchmarking on still wines is really an issue. Whereas you see people benchmarking the sparkling wines on social media, trying a Nyetimber against a Ridgeview or a Bolney against a Gusbourne, you see that happening and people talking about it. Whilst that’s small scale, it’s beginning to happen, but there’s just not enough wine available for it to be done with the stills. 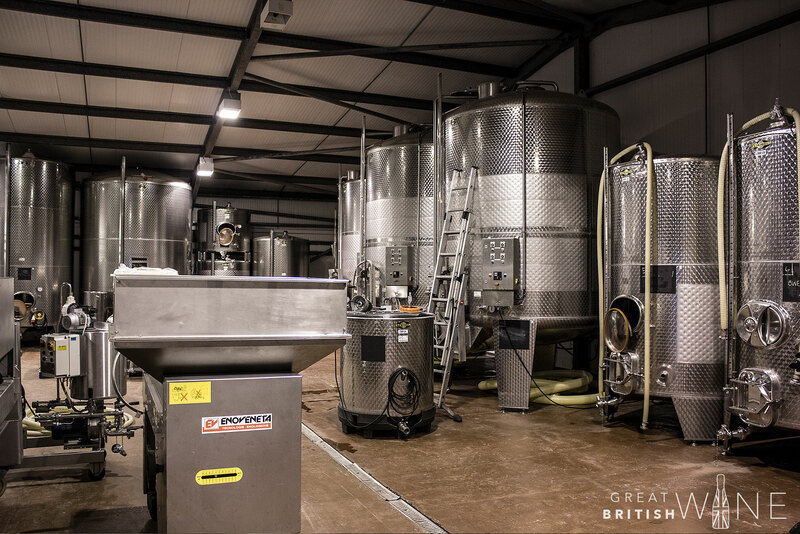 That pioneering approach with the still wines has led to significant recognition, with Bolney winning the two trophies and the title of Winery of the Year at last year’s UK Wine Awards. How did it feel to get that recognition after all those years of hard work? Sam: It was amazing. At the celebration dinner it was one of those moments when we knew we had won a couple of trophies for the Gris, but we didn’t know we had won Winery of the Year. We were really surprised. It was a complete shock as we thought Coates and Seely had it! For me, we knew we had made a really great Pinot Gris and we’ve had that wine on allocation now, almost since we started making it. We know we could sell ten times as much as we currently make, which is hopefully what we are planning to do. To get those awards was so good as all of our still wines have been work in progress. Year on year, we are developing the techniques in both the vineyard and the winery. 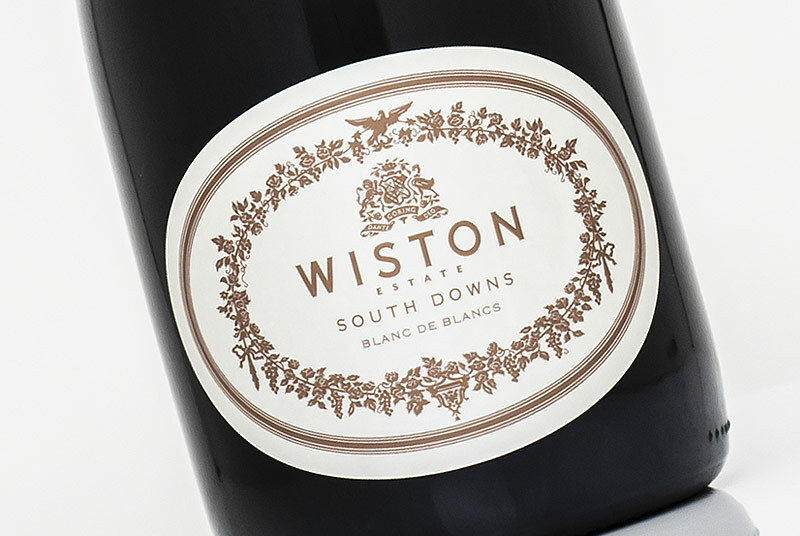 Everyone knows how to make a good sparkling wine over here now, but to make a really good still, in an English climate with the grapes that we get, we’re still learning. And that’s really put Pinot Gris on the map now. Producers who haven’t planted it are now looking at the varietal, aren’t they? Sam: Yes, I think Pinot Gris and also Pinot Blanc, make some really good wines over here and there’s some great mileage in the varietals. 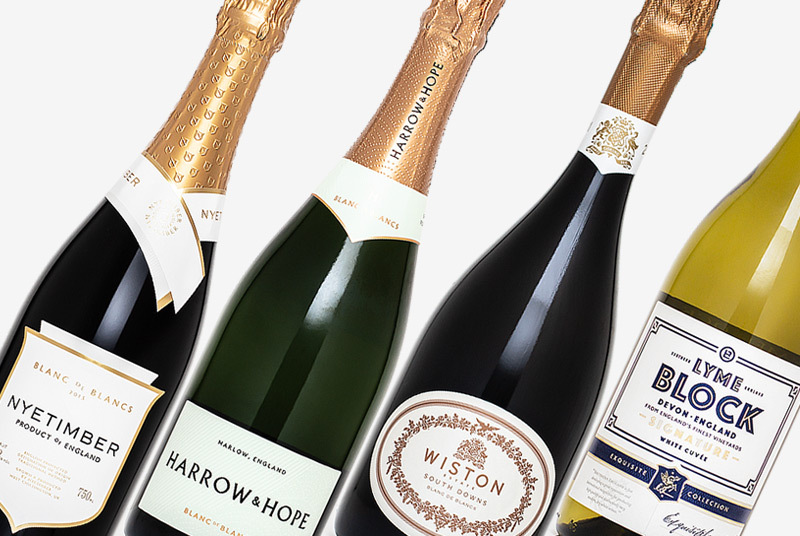 Let’s take some focus away from the blends, which will still make, but I think the future of English wine, and certainly the future of Bolney, has really got to be the premium, single varietal wines. Are there any other varietals that you think could work, or have tried, here in England? Sam: We have tried other varieties over the years, with not a huge amount of success. We had Merlot for a few years. That was one of our less notable successes; one in four years we actually managed to get a crop from it (laughs). I think there is some more experimenting to do, certainly with Pinot Blanc. Funnily enough, everything that is related to the Pinot Noir and Chardonnay families seems to really work over here. We would really love to grow Riesling, but we know that’s not going to happen! Auxxerois is really quite an interesting one, but again it’s not a particularly well-known variety. Thanks so much for your time Sam, and for such wonderful insights into Bolney and your experiences in the English wine industry. 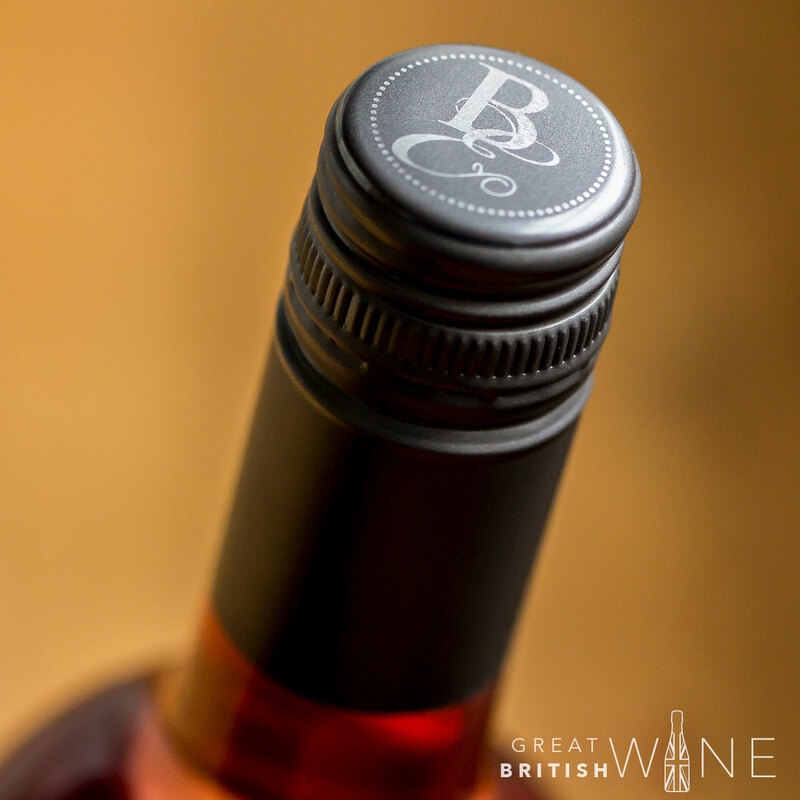 Are there any last snippets of information about what’s next for Bolney that you can share with Great British Wine? Sam: There’s always going to be something new happening at Bolney. We’re never going to sit still and not move forward and try different things. There will be other things, maybe a Bolney beer, we are actually looking at that right now. We’ve also got our wine bar on Friday nights, where guests can enjoy our British inspired tapas menu and discover our wines. More information on The Bolney Estate’s wine and tours can be found at www.bolneywineestate.com. Also, look out for our upcoming preview of a couple of the brand new 2017 Bolney still wines, which will be going on sale on 5thMay.